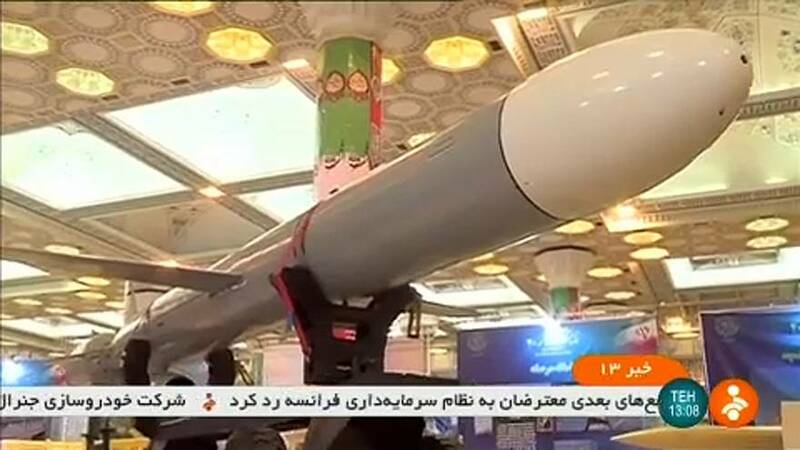 On the fortieth anniversary of its Islamic Revolution Iran has unveiled a new surface-to-surface missile with a range of thirteen hundred kilometres. That puts it in range of one of its biggest enemies, Israel. "This cruise missile needs a very short time for its preparedness and can fly at a low altitude," Defence Minister Amir Hatami said during the unveiling ceremony. Named Hoveizeh, it's from the Soumar family of cruise missiles, which Iran added to its arsenal in 2015, Hatami said. Iran has expanded its missile programme despite warnings from the United States. The launch followed a U.S. warning to Iran against undertaking three planned rocket launches that Washington said would violate a U.N. Security Council resolution. Washington says although Iran has met the terms, the accord was too generous, failing to rein in Iran's ballistic missile programme or curb what the United States says is interference in regional affairs.